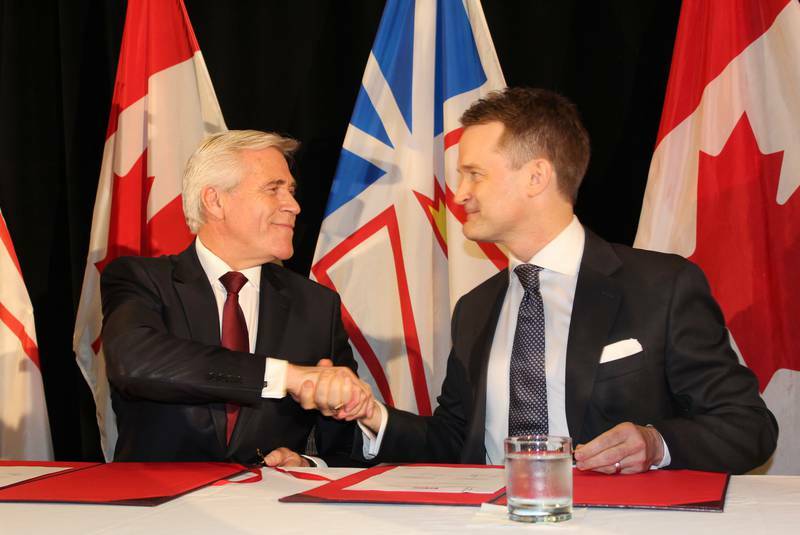 ST JOHNS - At the announcement of an updated Atlantic Accord between the provincial and federal governments, Newfoundland and Larbrador Premier Dwight Ball gave notice federal Finance Minister Bill Morneau will be in St. John’s to talk about the cost of Muskrat Falls. “We look forward to welcoming Minister Morneau and his team to advance discussions on rate mitigation,” read a statement from the premier’s office Tuesday, in response to questions about that coming meeting and federal-provincial work on rate mitigation. At the announcement, Ball specifically said the plan is to “finalize federal involvement for making sure electricity rates remain affordable,” with Ball and MP Seamus O’Regan trumpeting the provincial-federal relationship. The provincial and federal governments are not the only two parties involved in provincial power rates and handling of Muskrat Falls, but The Telegram is told details of meetings on rate mitigation are not being released, down to the list of attendees. The premier’s office was asked specifically about the involvement of Nalcor Energy, Emera, Goldman, TD or any others involved in project financing. The response was that the plan is not to indicate what is being explored and who might be involved, until there is something more concrete to speak about. The government’s plan is to have something to feed into the ongoing work of the Public Utilities Board, to develop a more complete response for rate mitigation for the PUB’s final report, due in 2020.